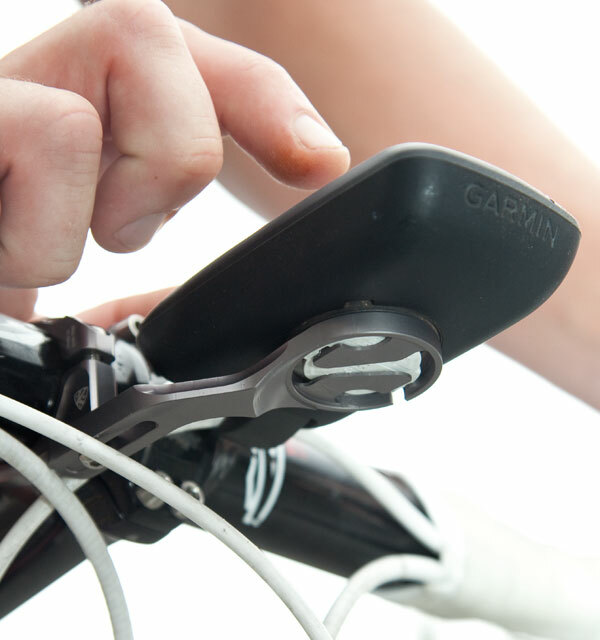 We have seen a few alternative mounts to position a Garmin head unit in front of the bars as opposed to the standard stem mount but this is the first we’ve seen that isn’t formed from plastic. K-Edge is better known for their chain catchers but, hewn from company standard 6061 T6 aluminium, this 30gram chunk of alloy billet looks exceptionally classy. Adjustable in length to facilitate Edge 200 and 500 or larger 800 units its rock solid in use but releases easily when required. You’ll know if the cost is worth it to you, but so far its pretty near perfect.